Niall Corcoran has announced his retirement from inter-county hurling. Niall Corcoran retires from inter-county hurling. DUBLIN HURLING HAS been dealt another blow ahead of the 2017 season following the retirement of Niall Corcoran. Corcoran, who played a part in Dublin’s historic triumph in the 2013 Leinster final, joins a number of other players who have either withdrawn or been omitted from Ger Cunningham’s squad. It was reported earlier in the week, that the 2013 captain Johnny McCaffrey and former All-Star Peter Kelly are among those who will not play a part in next year’s campaign. A statement issued by Corcoran which has been published on the Dublin GAA website, reflects on his days spent hurling from a young age and how he achieved a life-long ambition in playing for Dublin. Email “Dublin hurlers lose another member of their 2013 Leinster winning pack”. 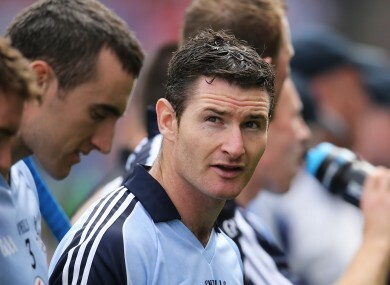 Feedback on “Dublin hurlers lose another member of their 2013 Leinster winning pack”.